The 255-200 Evaporation Pan is a standard National Weather Service Class A type for measurement of water evaporation. The pan is filled with water and exposed to represent an open body of water. The evaporation rate can be measured by manual readings or with an analog output evaporation gauge. 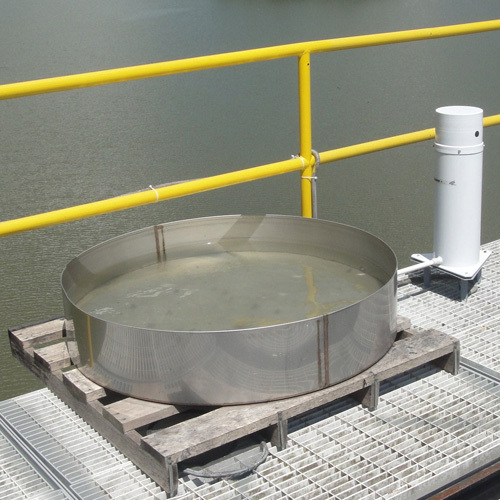 The 255-200 Evaporation Pan is a standard National Weather Service Class A type for measurement of water evaporation. 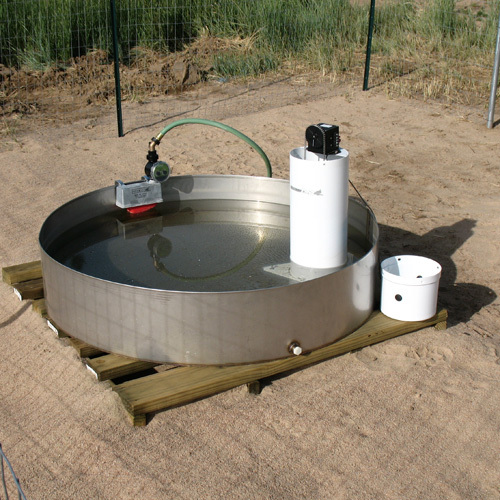 It is normally installed on a wooden platform set on the ground in a grassy location. 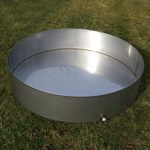 The pan is filled with water and exposed to represent an open body of water. The pan is filled to within 2.5 inches of the top of the pan. 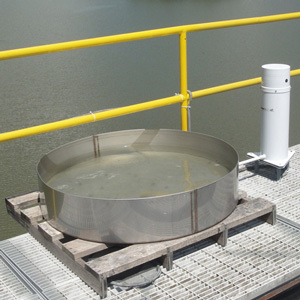 The evaporation rate can be measured by manual readings or with an analog output evaporation gauge. 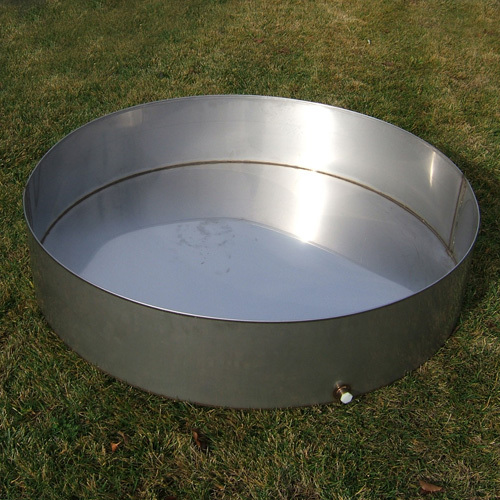 Size: Cylindrical, inside dimensions 10" deep x 47-1/2" dia (254 mm x 1026 mm), wall thickness 0.047"
Shipping box: 50" x 49" x 11"
The evaporation pan is too large for UPS ground service and must be shipped by truck.